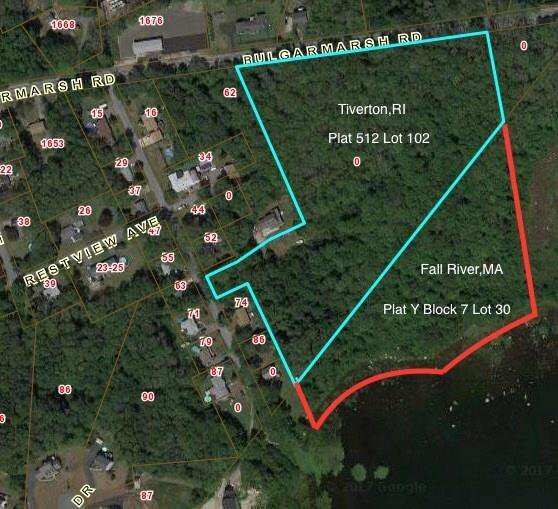 A beautiful 15 acre waterfront lot located on Sawdy Pond in Tiverton. 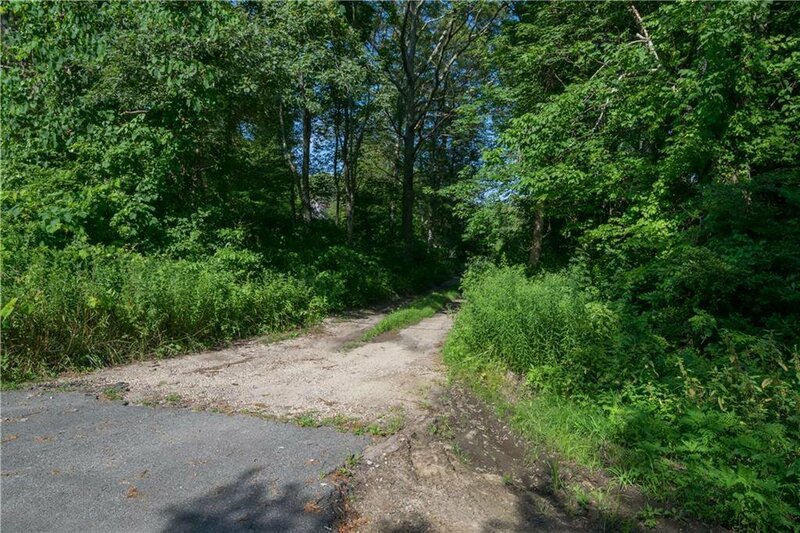 This 15 acre parcel is zoned R80 residential and is located on the RI/MA state line. 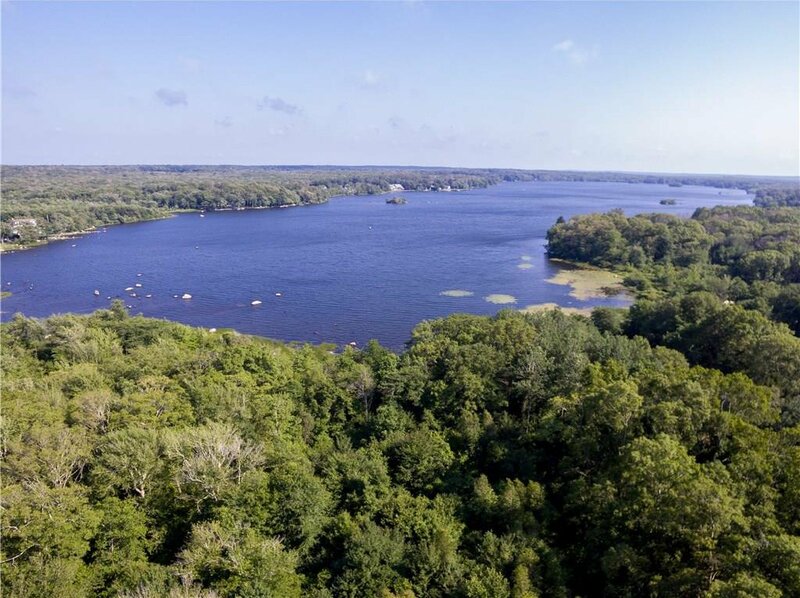 Ten of it's wooded acres are located in Tiverton, RI and the other five acres are located in Fall River, MA (Plat Y, Block 7, Lot 30). 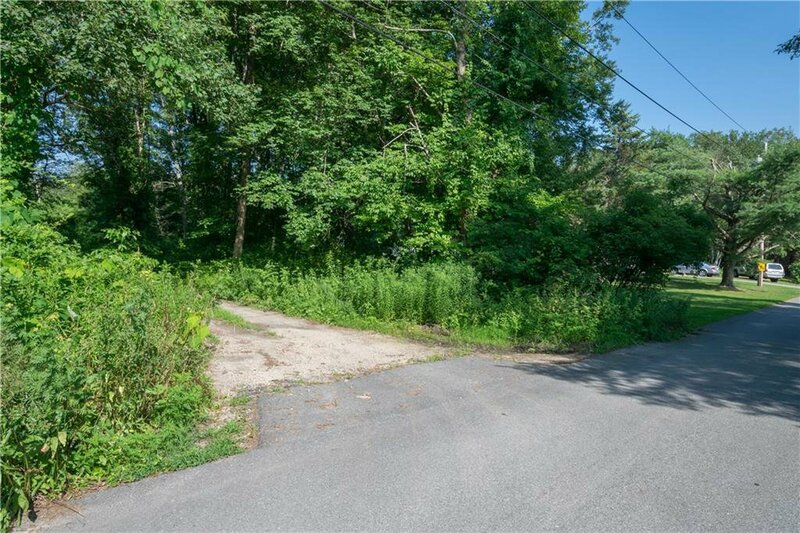 The property can be accessed from both Bulgarmarsh Road and Restful Valley Avenue in Tiverton. 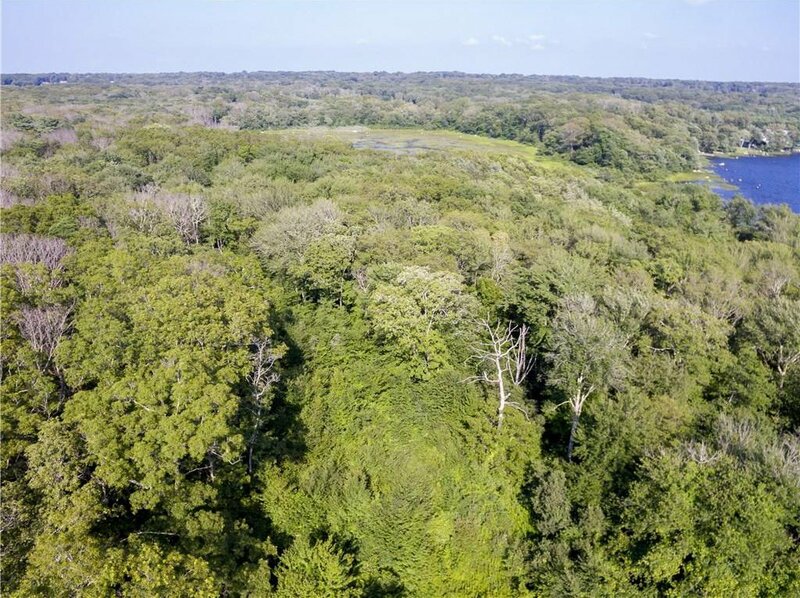 The lot is wooded and contains a variety of trees and shrubs, with varied topography. 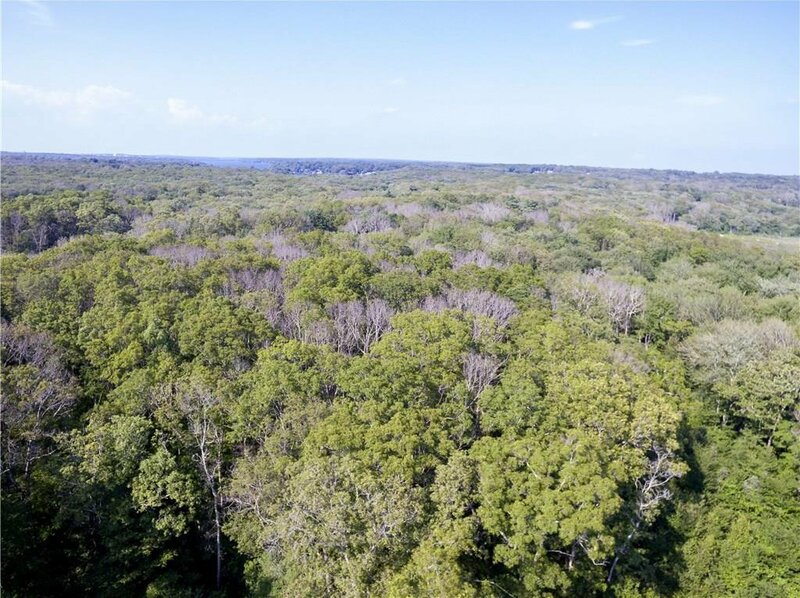 The lot is fairly level but does contain some high points as well as lowlands/wetlands. 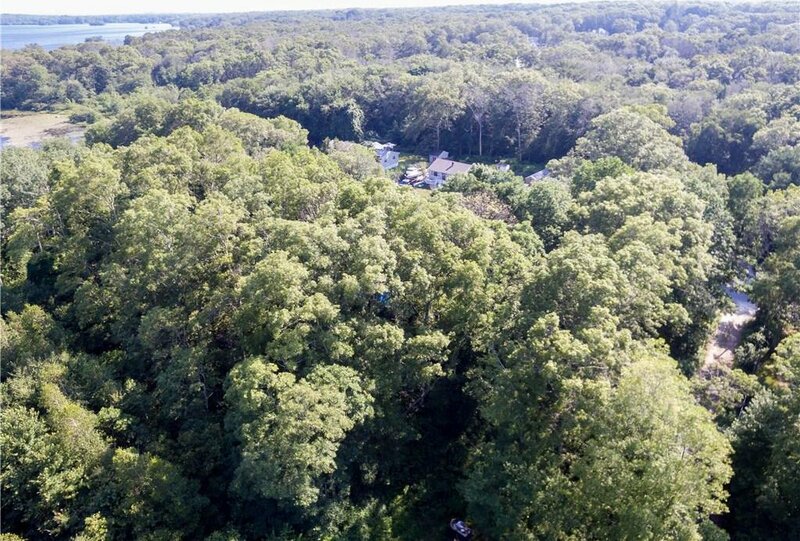 This property would make a lovely single family estate or may be subdivided. Buyer to do due diligence. A boundary survey is available. 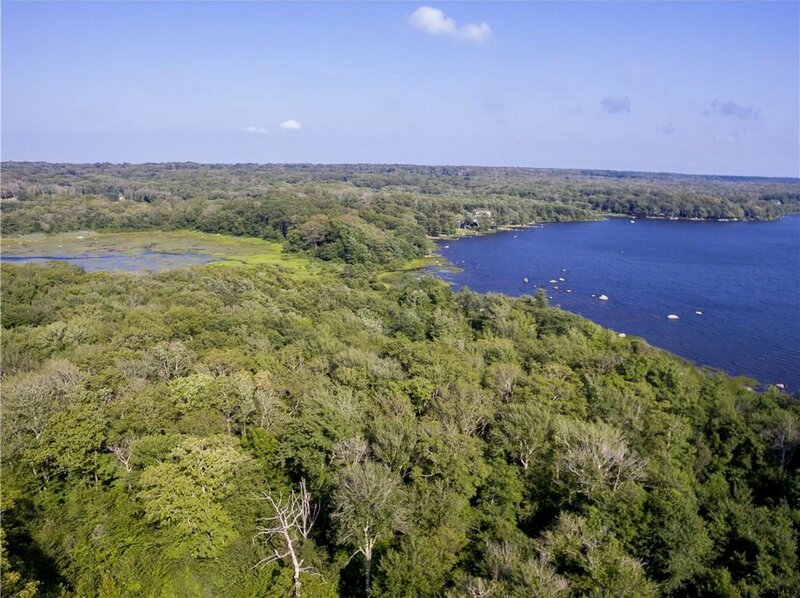 Waterfront views and privacy with water access on Sawdy Pond makes this a unique property for a year round home or summer home.